The U.S. Food and Drug Administration today released a revised set of guidelines clarifying the new warning label rules and how they pertain to cigars that come in packaging too small for the required warning labels. The requirements include larger health warning labels on boxes (and even cellophane wrappers), as well as more stringent placement of said warnings. Until today's guideline, however, it was unclear how the FDA would handle cigars that come in small packaging. The guidance, titled "Warning Statements on Small-Packaged Cigars," includes a new compliance date that is different from the one written in the agency's infamous Final Deeming Rule. Originally, manufacturers were supposed to comply with the new warning labels by May 10, 2018, but the guidance issued today has revised the date to August 10, 2018. 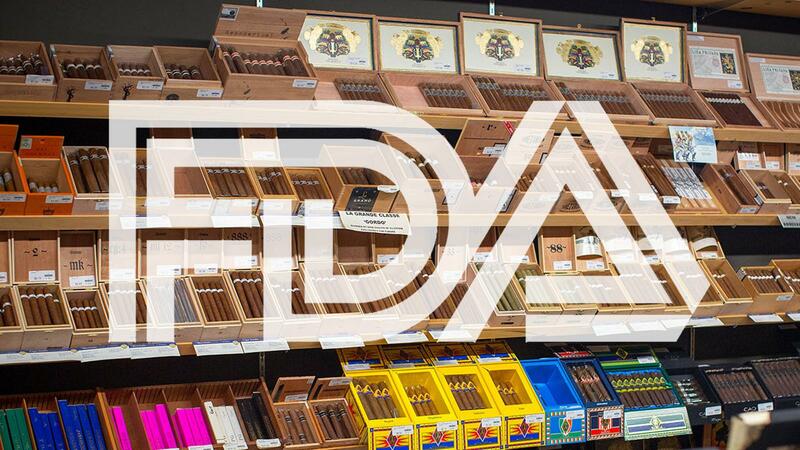 Additionally, the FDA states that "cigars that are sold individually, without any packaging, may satisfy the warning requirements for packages with warning statements posted at the point of sale." This means that a cigar sold without a cellophane wrapper would be considered compliant if the vendor has the proper warning statements near their cash register. Comprise at least 30 percent of each of the principal display panels. According to today's guideline, the FDA won't enforce its rules if a cigar's packaging is too small to comply with the above parameters, so long as the warnings appear on the box that the cigar came in. To read much more on the FDA's revised warning labels, read New FDA Warning Labels Explained.